Looking for something to do in Ottawa this weekend? How about a Cat Cafe! 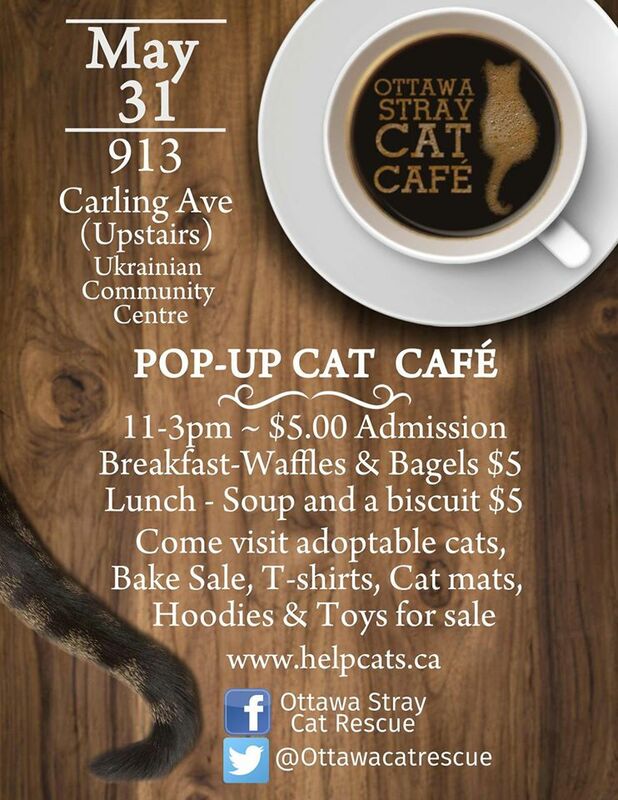 This Sunday the Ottawa Stray Cat Rescue will be holding their first ever Pop-Up Cat Cafe! There will be plenty of goodies and cats to play with! Check out the Facebook pages for more info!